This South American country provides the active couple with plenty to explore. A Peru honeymoon is definitely an adventure to consider! If you’re considering a Peru honeymoon, you and your soon-to-be spouse are in for a treat. This South American country in the western side of the continent is rich in everything from ancient cities and archaeological sites to impressive landscapes and a vibrant culture. 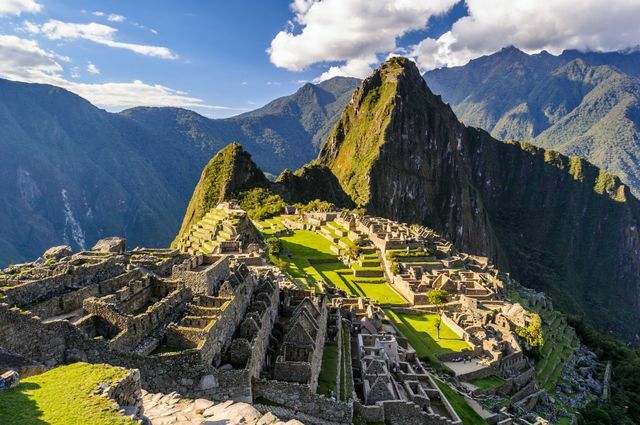 There are countless natural treasures just waiting for you to explore, from the famed Machu Picchu to the impressive ruins in the Sacred Valley and Inca Trail. 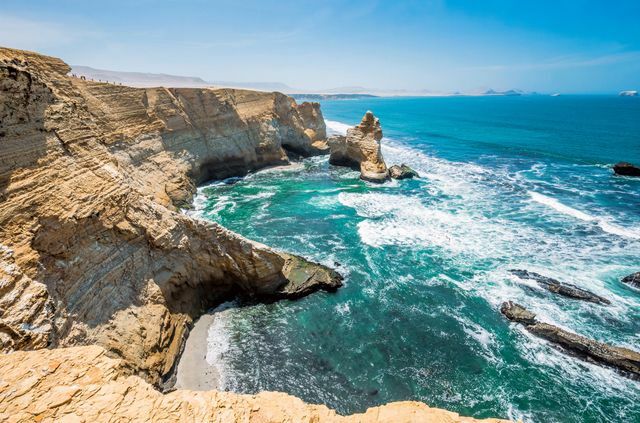 Peru is also widely admired for its beautiful beaches, so you get the chance to experience a little bit of everything on your honeymoon to this spectacular South American country. To help ensure that your Peru honeymoon is everything you hope for and more, here is our guide to when to go and where. Bon voyage! The best time for a Peru honeymoon is during the winter, which, don’t forget, occurs during North America’s summer (May through September). These months tend to be the driest, with the wettest season occurring during Peru’s summer (December through March). The months of October and April are typically fine for travel, however the temperatures are a bit more unpredictable so it’s hard to tell exactly how things will be upon your arrival. Additionally, Peru has a diverse landscape that demands a very unique climate. For example, the Amazon and Machu Picchu areas tend to be rainy in the summer, as we mentioned, while the coastal region tends to be sunny during this time, and slightly cloudy from May to November. Be sure to research the areas you intend to visit thoroughly so you know what to expect. Given the fact that you’ll likely enter the country of Peru through the city’s capital and one of its largest cities, Lima, you might as well spend a few days of your Peru honeymoon exploring all it has to offer. It’s located in the central coastal part of the country and is home to a myriad of museums, ancient ruins and centuries-old cathedrals. On your list of things to see and do, don’t forget to stop by the Plaza Mayor, the main square in the historic center and birthplace of the city, visit the Park of the Reserve, the Monastery of San Francisco, Government Palace, Larco Museum and the Gold Museum of Peru and Weap. Shopaholics won’t want to miss Larcomar, the main shopping center in the Miraflores district. Most famous for its ancient cities and exceptional temples, Cusco is a top destination for couples honeymooning in Peru. Perhaps it is most notable for the Inca ruins, namely Machu Picchu, an ancient Incan citadel that was built high in the Andes Mountains in the 15th century. Its dry-stone walls still stand and serve as a mirror into ancient society. Cusco is also known for its modern culture. Take a visit to the Plaza de Armas, which once marked the exact center of the Inca Empire. Two churches stand on either side of the square—La Compañia and La Catedral—and both are worth visiting! Though it’s often overshadowed by Machu Picchu, Sacsayhuamán, the citadel on the northern outskirts of the city, is also widely admired by tourists. It served as the capital of the Inca Empire back in the 13th century when it, too, was built in dry-stone. This fishing village on the western coast is a must-visit for lovers on their Peru honeymoon. Once you’ve trekked and traveled through historic sites and seen notable monuments, Paracus will be your place to simply relax and enjoy the laid-back environment that comes with a fishing village. Speaking of fishing, be prepared to see some unusual wildlife that you certainly don’t see on your day-to-day, including pelicans, sea lions and penguins (Humboldt are common in Paracas!). Spend at least a day or two at the beach—you have your pick from quite a few, namely Playa Roja, Supay Beach, Playa de la Mina and Yumaque Beach.